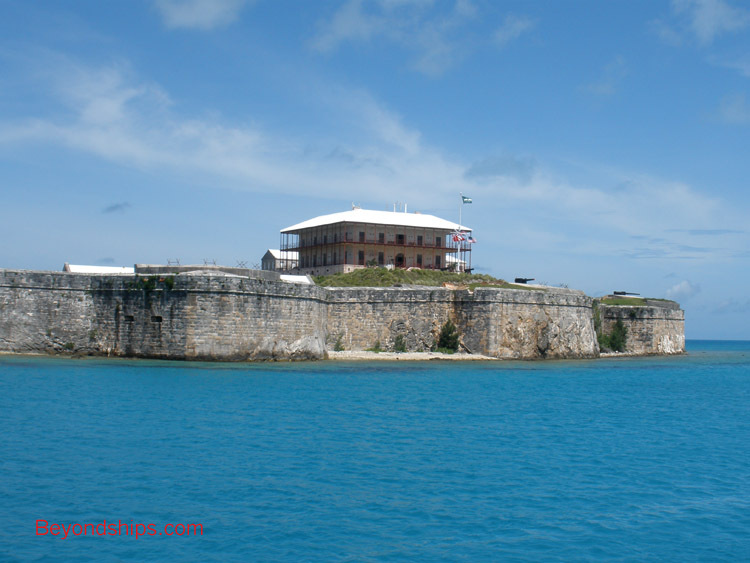 In many ways, the Royal Naval Dockyard resembles a fortress. This should not be surprising because the original purpose of the Dockyard was to provision and maintain warships. The fleet had to be protected at such vulnerable times. Furthermore, inasmuch as this was a strategic base, the Dockyard had to be defended from capture or destruction. The primary defensive area of the Dockyard was The Keep. It had high, thick walls and powerful cannon. In addition to the fortifications and military storehouses, the civilian commissioner who was in charge of the Dockyard lived in a large house that dominates the center of The Keep. After the Dockyard lost its military function, The Keep was allowed to deteriorate. However, much of it has now been restored by the Not For Profit National Museum of Bermuda. The buildings in The Keep, including, the Commissioner's House, contain exhibits on many aspects of Bermuda's history including slavery, tourism, shipwrecks, and of course, military defense. Outside, you can explore defense works containing cannon from various periods. In addition, The Keep pond has been converted into the Dolphin Quest, where visitors can view and/or interact with marine mammals. Finally, The Keep offers great views of the cruise ships berthed in The Dockyards as well as of the Dockyard area itself. Inasmuch as it is only a short walk from the cruise ship berths, the Museum is a convenient as well as worthwhile attraction.